VTSS4N is a general purpose mains operated temperature controlled soldering, which has adjustable temperature range from 150 - 480ºC. 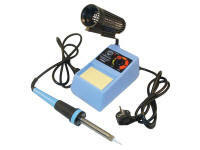 Temperature adjustment is made by means of a rotary potentiometer located on the front of the soldering irons base. Supplied with sponge and stand. VTSS5 is a general purpose temperature controlled soldering, which has adjustable temperature range from 175 - 480ºC. 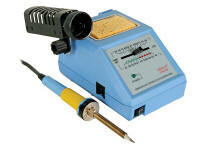 Adjustment is made by means of a rotary potentiometer located on the front of the soldering irons base. Supplied with sponge and stand. 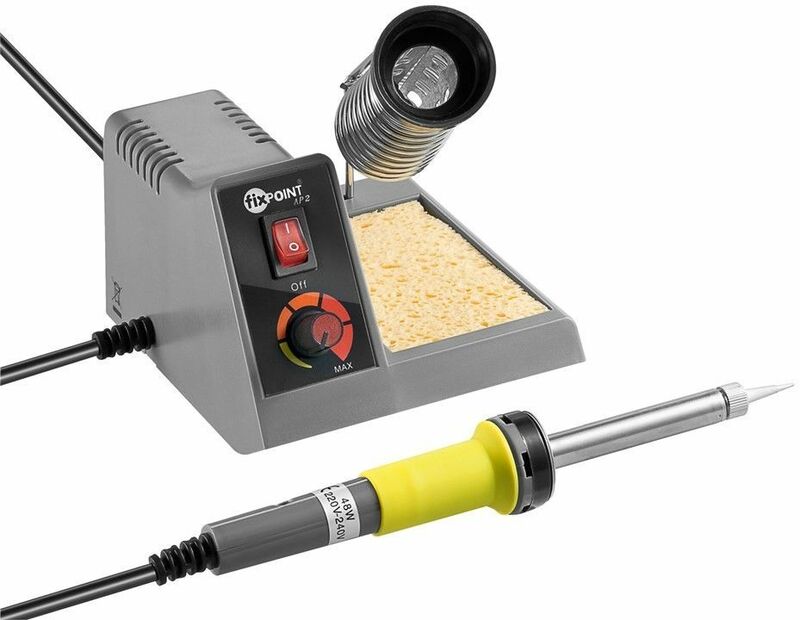 The Antex TCS230 temperature controlled soldering iron, adjustment is made by using the two small push buttons in the side of the handle. The range is adjustable from 200-450°C and displayed on a LCD display. 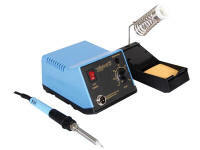 VTSSC10N Temperature controlled 48W soldering station, temperature range from 150 - 450ºC. The adjustment is made by means of a slider potentiometer with graduated scale. Supplied with sponge and integral stand, four sizes of replacement bits are also available. 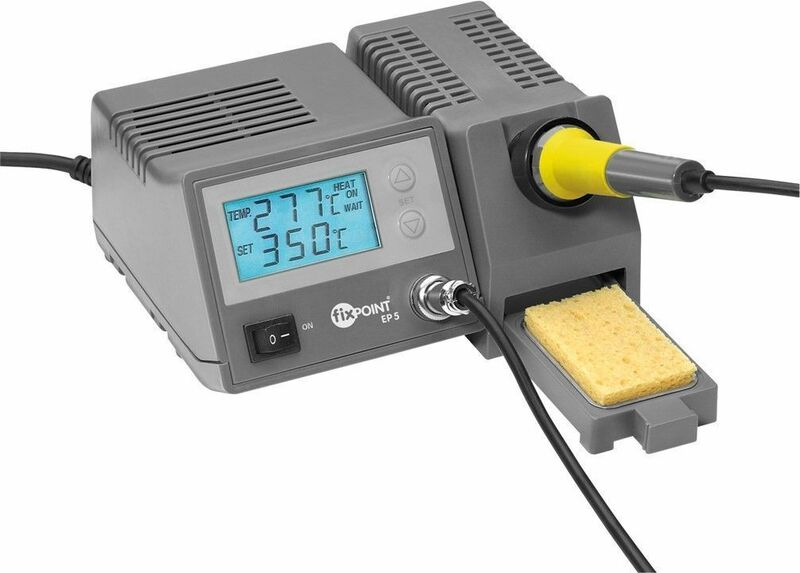 VTSSC20N is a 48W temperature controlled soldering station with ceramic heating element. Adjustable temperature range from 150 - 450ºC. The adjustment is made by means of a rotary potentiometer with LED bar-graph indicator. Supplied with sponge and integral stand, four sizes of replacement bits are also available. VTSSC30N is a 48W temperature controlled soldering station with ceramic heating element. Adjustable temperature range from 150 - 450ºC. The adjustment is made by means of a rotary potentiometer with LED temperature display. Supplied with sponge and integral stand, four sizes of replacement bits are also available. 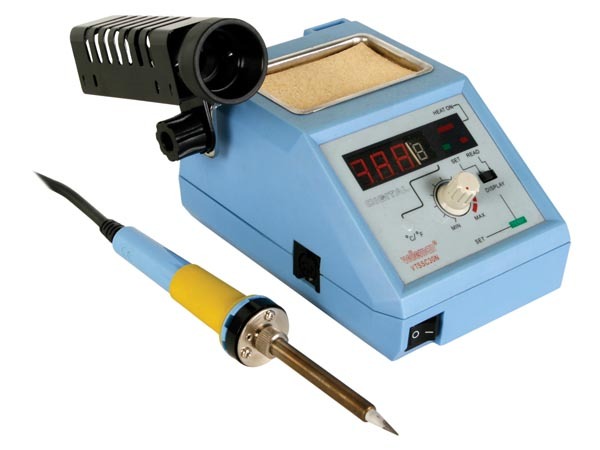 EP5 is a 48W temperature controlled soldering station with ceramic heating element. Adjustable temperature range from 150 - 450ºC. The adjustment is made by means of two push switches, temperature displayed on a liquid crystal display. Supplied with sponge and integral stand, four sizes of replacement bits are also available. VTSSC50N Temperature controlled 48W soldering station, which has adjustable temperature range from 150 - 450ºC. The adjustment is made by means of a rotary potentiometer with graduated scale. Supplied with sponge and separate stand, four sizes of replacement bits are also available.